Start your day off on a positive note each and every morning by listening to That Business Show with Jamie Meloni, airs weekdays at 8am on 1250 WHNZ and you can watch us live in studio via our live stream button on http://www.tampabayradio.com! 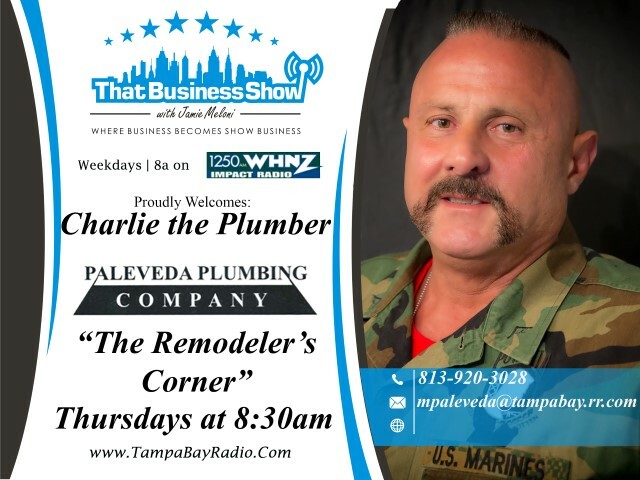 Today’s show was highly entertaining and opened with a discussion between myself and Charlie the Plumber, now dubbed Charlie the Infidel Plumber by Jack Harris, morning anchor of AM Tampa Bay on 970 WFLA. Charlie extends a personal invitation to ISIS to come after him if they want a fight in response to ISIS’s recent postings they have branded Pam Geller a target due to her drawing of Mohammed contest that attracted worldwide attention after two would be terrorists were gunned down by police at the event fortunately avoiding another mass shooting event. Charlie and I add in a few other colorful talking points and as always is a great segment when Charlie is on the mic. On the 2nd segment, Shannon Rose arrives in studio and has some great stories of overcoming obstacles in life from a debilitating condition early on that led to paralysis in both of his arms to a near death battle with pneumonia last year. Shannon has been very involved in professional wrestling his whole life and began at age 12 announcing for wrestling and even got into the ring for a match in his younger years. Dubbed Mr. Hollywood by nationally syndicated radio personality, Mancow, Shannon has rubbed elbows with many wrestlers and Hollywood elite from Hulk Hogan to Carson Daly and Stephen King. Shannon does the entertainment report for the Mancow show and has been involved in TV/Radio media for over 20 years. He has produced public access programming on television and has recently launched a new radio show on America’s Talk Radio Network on Entertainment. Shannon is also an accomplished public relations company owner and owns Eclectic Media Productions and invites anyone interested in getting media exposure to contact him for assistance. 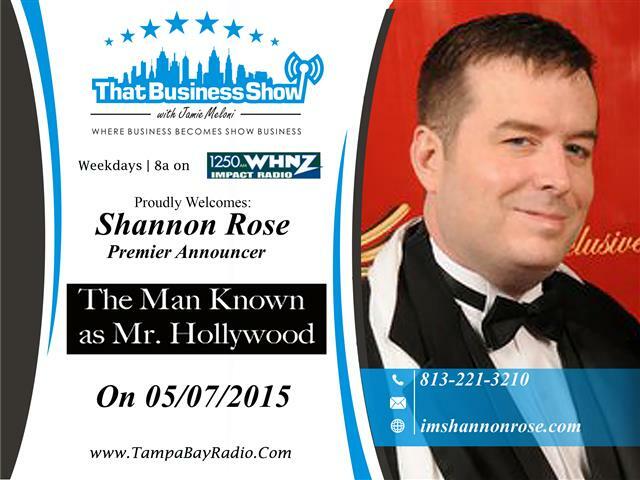 You can reach Shannon directly at 813-221-3210 or through his website at http://www.imshannonrose.com! Also thanks to Jim Yeager of Yeager and Company for being a part of Thursday’s segments. He was out today but will be back in studio shortly as part of our Remodeler’s Corner feature, airing Thursdays at 8:30 on the show. 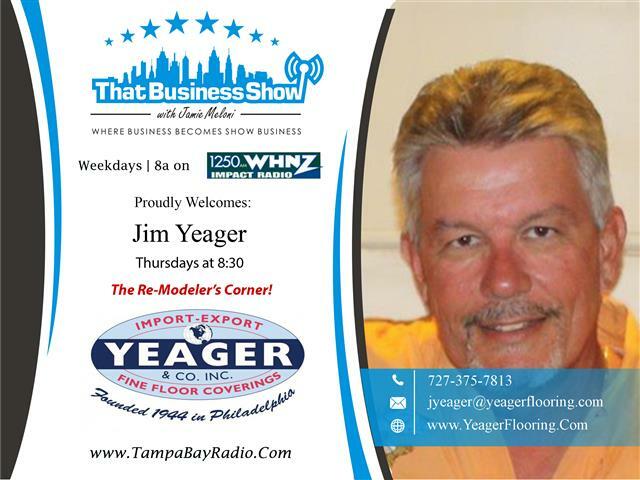 Yeager and Company is a 3rd generation flooring and remodeling business based in Odessa, Florida and can assist you with all your building needs. Visit http://www.yeagerflooring.com and mention you heard about him on the radio for some great deals!